Yesterday my roommate and I decided to do some spring cleaning and majorly cleaned out our closets. I got rid of so many things I didn't even realize I had. 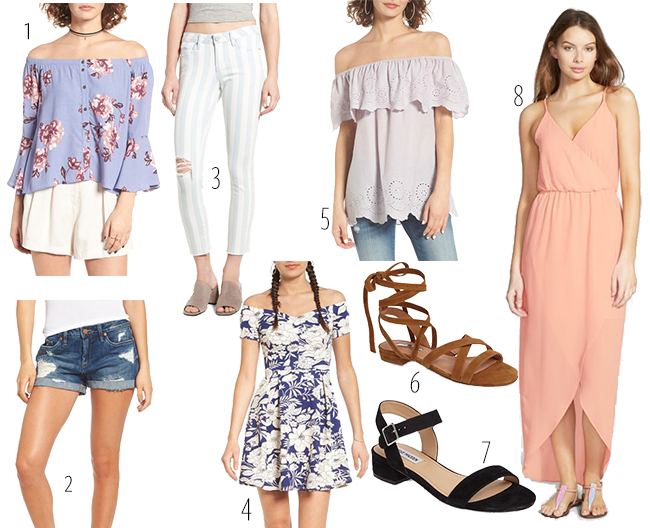 Every time I clean out my closet I start to feel like I have no clothes so what better way to solve that problem than to do a spring wish list! I have already added a few pieces to my wardrobe but I am dying to add some more since there is so much space now and because its actually feeling like spring outside finally! Hope y'all had a great weekend, here's to a stylish week! Love how simple and lovely that dress is!